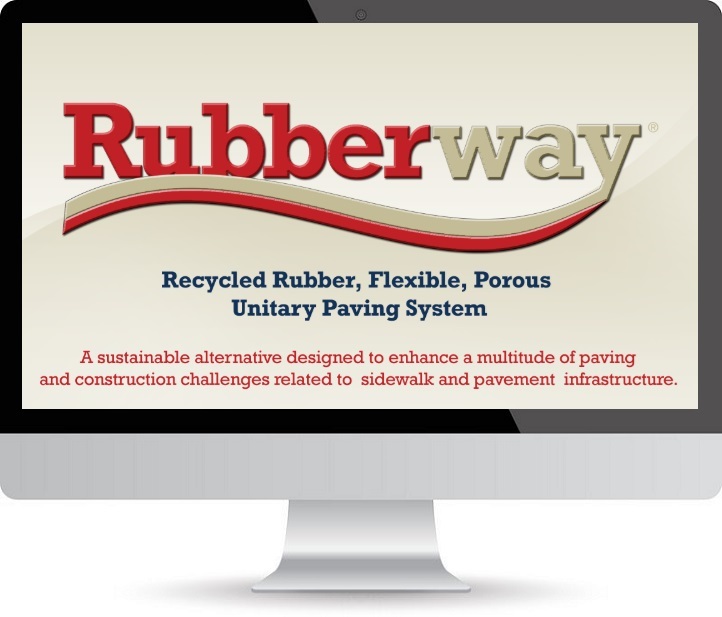 Rubberway is dedicated to providing environmentally friendly, LEED eligible paving solutions by diverting tires from landfills, utilizing recycled and regional materials, and supporting stormwater management. Rubberway flexible, porous rubber pavements are a sustainable solution to cracked sidewalks and other pavement infrastructure challenges. 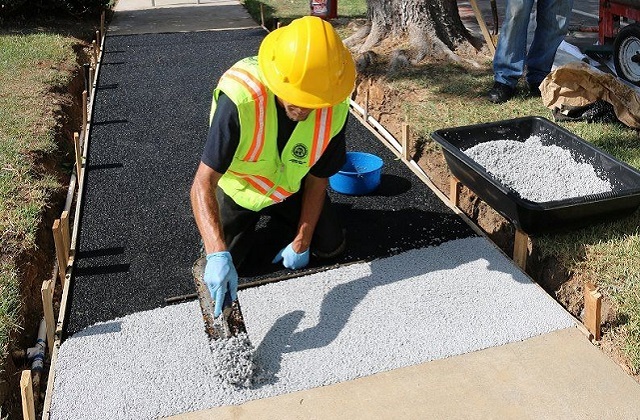 Founded as a product development company in 1997, Rubberway has grown to become an industry leader in the development of flexible, porous rubber pavements, sidewalks and tree wells including numerous patented system technologies. We are inspired by sustainability and work to incorporate best environmental practices into our products and services. By utilizing recycled and regional materials and taking the natural environment into consideration during product design and development, we are working to make a positive impact across the United States. Rubberway systems divert up to one tire per square foot from landfills. Our products have been installed across the nation. Detail drawings and specifications for Rubberway systems including different installation variations. 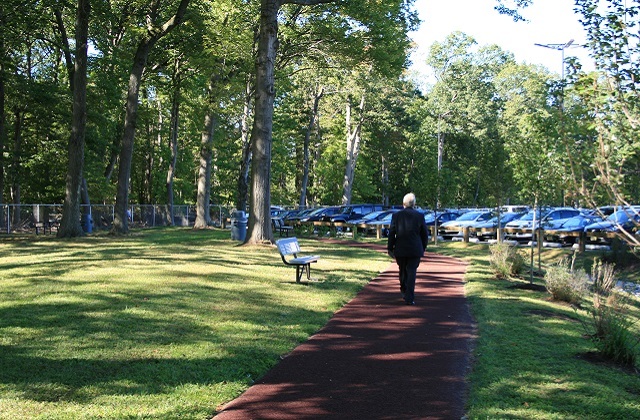 Rubberway systems are designed with the environment in mind and are LEED eligible. Frequently asked questions about Rubberway systems and their installation and maintenance. Would you like to see Rubberway first hand? 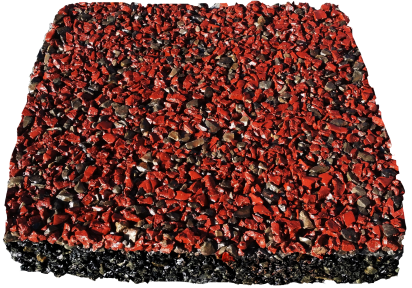 Contact us to request free samples of the Rubberway porous rubber pavement systems you're interested in. Would you and your team like to learn more about Rubberway? Contact us to schedule a complimentary webinar presentation.